Regal Auto Care – offering QUALITY AUTO REPAIR in Al Quoz, Dubai since 2012! One-stop full-service auto repair and body works. We offer professional auto repair and body works. Regal Auto Care is committed to giving premier customer service to individual customers and companies clients in the heart of Dubai. We have determined commitment to professional vehicle repair and maintenance. They have done an excellent work! It is beyond my expectation considering it is my first time to bring my car for body works outside Hyundai Service Center and they didn't disappointment me. The quality of work is great and Ajay is more than helpful and explains every bit of how and what they are doing with your car. The location is also very accessible and easy to find. I am more than happy to recommend them to anyone. Thanks Regal Team! Excellent experience from start to finish. Such professional, helpful and friendly service. Did an amazing job with my car and really went above and beyond to make sure everything was done to perfection. Fantastic and would recommend wholeheartedly to anyone needing quality, good value, honest repair work. Great service! Really helped provide the most practical and cost effective repair solution. Carried out the work quickly and provide great updates on the progress of the work. Fantastic customer service - wholeheartedly recommend and will definitely use again! We had an excellent customer service experience with this business, and the car was ready on time as promised. Throughout the service, we received clear and regular updates as to which stage the process was at. We would definitely recommend. Highly satisfied the workmanship of staff who work in this garage. i have been approached to many others garage, but seem they are incapable to fix my car boiling issue. I am lucky be able to found regal auto who can solve my problem within one day times with reasonable price. I would like to extend my greatest appreacitated for your profesionalism and honest to me as customer. Well done and keep going for the good job, for sure i will visit to your garage again. 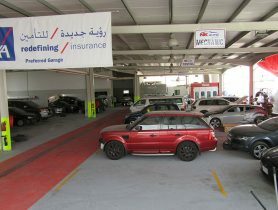 Car Service, Regal Auto Care, Car Repair Workshop in Al Quoz Industrial Area 3, Car Repair Workshops in Dubai, Dubai Workshps, Car repairs in Dubai, Workhsops near me, Car Service Center in in Al Quoz Industrial Area 3 Dubai, Mechanic Near me, Mechanic in Dubai, Car Battery Repair, Engine Oil & Filter Change, Car Electricals Repair, Car Air Conditioning Repair, Car Body Shop in, Car Repair Workshops.